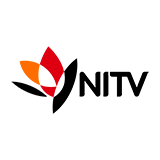 Wish You Were Here is a TV show on Australian national television from SBS ONE with an average rating of 3.0 stars by TVCatchUpAustralia.com's visitors. We have 1 episodes of Wish You Were Here in our archive. The first episode of Wish You Were Here was broadcast in November, 2017. Did you miss an episode of Wish You Were Here but don't you wan't that to happen in the future? Please set an alarm and add Wish You Were Here to your favourites, so we can remind you by email when there's a new episode available to watch. Completely free: handy! 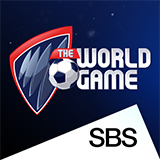 The World GameThe World Game is an Australian television show about football that covers reviews and previews of both national and international football and related issues. The Cook And The ChefCatch up on The Cook And The Chef and watch online. Find the latest episodes of The Cook And The Chef, broadcast by SBS ONE. The SupervetCatch up on The Supervet and watch online. Find the latest episodes of The Supervet, broadcast by SBS ONE. SBS World NewsCatch up on SBS World News and watch online. 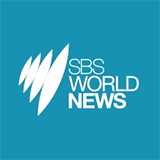 Find the latest episodes of SBS World News, broadcast by SBS ONE.